Berkshire Lyric presents “Called by Angels, a Concert of Christmas Music” | When I Survey . 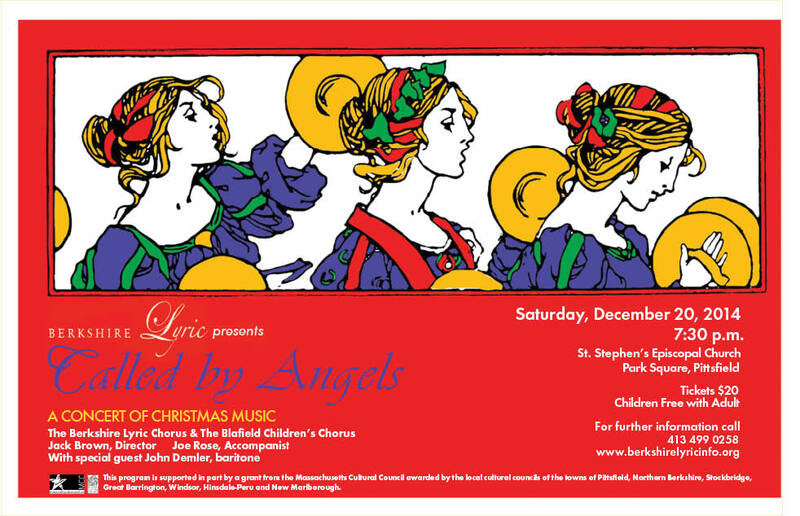 . .
Berkshire Lyric presents “Called by Angels, a Concert of Christmas Music” at St. Stephen’s Episcopal Church on Park Square in downtown Pittsfield on Saturday, December 20 at 7:30. The 90 voice Berkshire Lyric Chorus will be joined by the 30 voice Blafield Children’s Chorus in a wide ranging choral program of some of the most beloved music of the season. Now in its 52nd year, Berkshire Lyric most recently performed at Tanglewood’s Seiji Ozawa Hall in the spring, and the big chorus is back for this annual holiday concert. The St. Stephen’s concert is an expanded version of Berkshire Lyric’s traditionally sold out Stockbridge Main Street Concert. Through the years, it has developed into a heart warming and nostalgic evening of great Christmas music for the whole family. The concert is led by Berkshire Lyric’s Artistic Director Jack Brown and accompanied by Joe Rose. The soloists will be soprano Felicia Durso and baritone John Demler. The chorus will be singing new compositions and arrangements by contemporary composers Alan Smith, Will Todd and John Joubert. The children’s chorus is presenting music by John Rutter, Alfred Burt and Alec Wyton among others. A highlight of the concert will be a medley of “Away in a Manger,” “O Little Town of Bethlehem,” and “Silent Night,” all arranged by English composer and former member of the King’s Singers, Bob Chilcott. During a lighter portion of the program, the chorus will sing lush choral arrangements of Christmas hits such as “Sleigh Ride”, “The Christmas Song” and “I’ll be Home for Christmas.” There will be a sing-a-long portion of favorite carols and popular selections at the end of the concert. 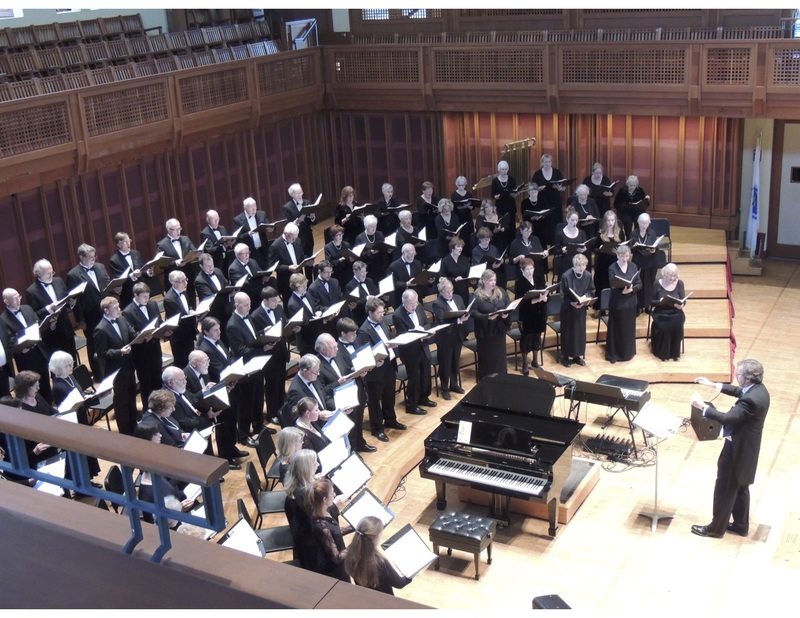 The audience can join their voices to the 120 singers of Berkshire Lyric and the great St. Stephen’s Pipe Organ in the rich acoustics of this historic church. The Berkshire Lyric season will continue on December 27 with a Handel “Messiah” Sing also at St. Stephen’s. The new year will see four concerts: Moving to Glory: a Gospel and Spirituals Concert in February, A Feast of Operetta fundraiser in March, A Grand Opera Spectacular at the Colonial Theatre in May, and finally Into the Light: Russian Orthodox Sacred Music with the Konevets Quartet of St. Petersburg in June. Tickets for the Dec. 20 Christmas concert are $20 for adults with children admitted free. They may be purchased from chorus members or through Berkshire Lyric’s website. More information at http://www.BerkshireLyricInfo.org. This entry was posted in Music and tagged Artistic Director Jack Brown, Berkshire, Berkshire Lyric, Berkshire Lyric Chorus, Christmas, Christmas concert, Christmas music, concert, holiday, holiday concert, music, St. Stephen’s Episcopal Church. Bookmark the permalink.